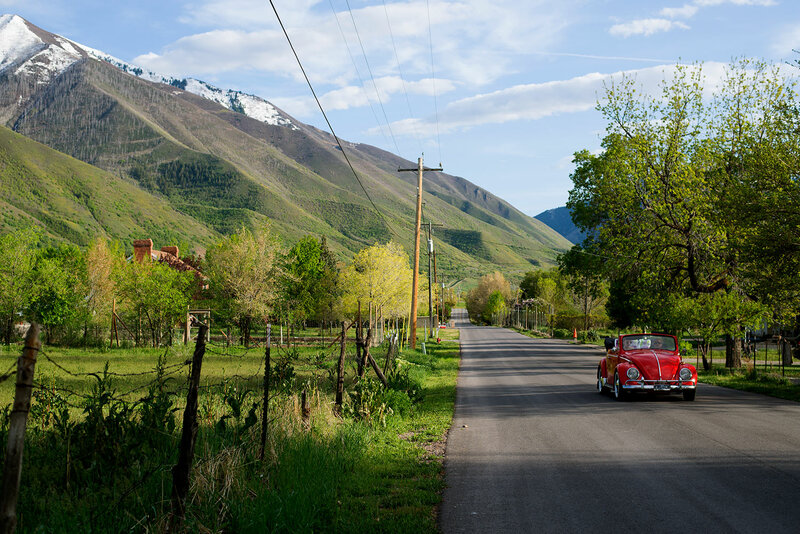 Above, a pristine Volkswagen Beetle convertible in Mapleton, Utah. Simplicity, affordability and appeal – few products have been as successful at these three hallmarks of good design as the droll little Volkswagen Beetle. The international love affair with this rear-engine economy car made it one of the most iconic designs of the 1960s and 1970s. 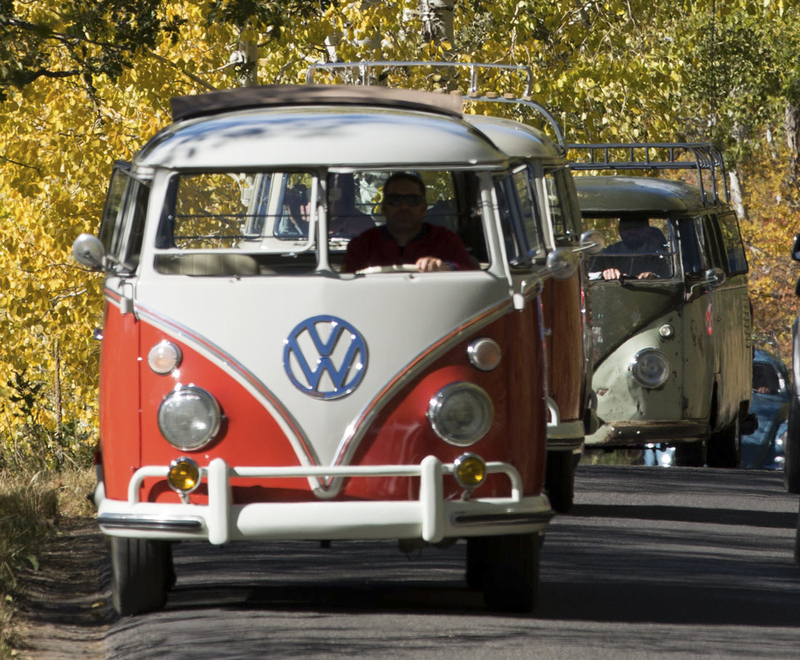 The Beetle and its larger sibling, the Volkswagen Bus, became the perfect symbols of the California hippie culture’s message extolling the simple life. Long after most pre-1974 Beetles have disappeared from the highways, the car continues to have a fanatical following among people who were young during the 1960s and 1970s. Many collect not only the cars but memorabilia such as 1960s luggage that they strap to the top of classic Beetles for road trips. 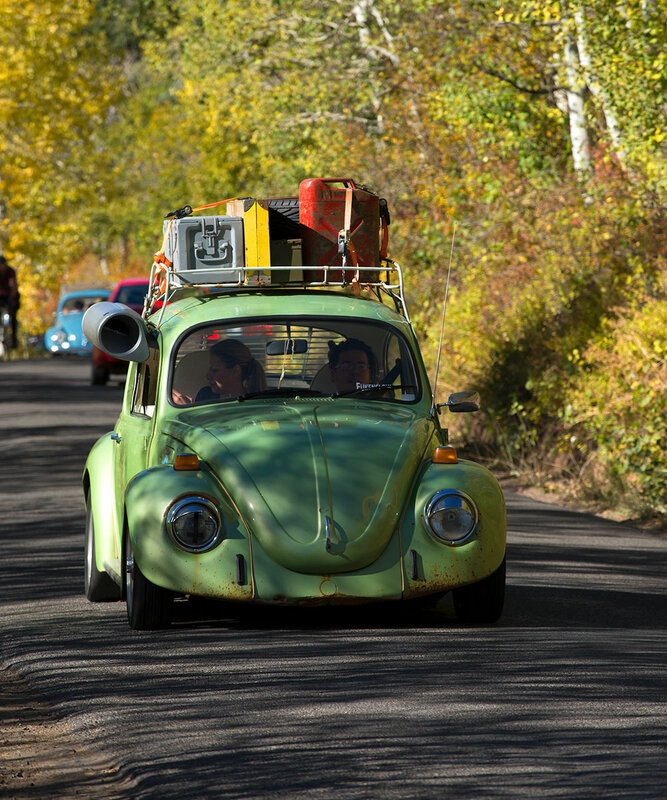 A Beetle loaded with vintage gear during a road trip in Utah. Enthusiasts remember when the Beetle and the Bus were so ubiquitous that it was possible on road trips to play games of Slug Bug, a contest of points where the first person to spy a regular Beetle and shout “Slug Bug” got two points, a Bus netted 10 points and a Beetle convertible a whopping 30 points. The first person to arrive at 150 points won – not hard to do on a highway system swarming with Beetles. More virulent varieties of the game allowed participants to slug each other on the arm when pointing out a Beetle or Bus. Occupants of Beetles also engaged in high jinx such as jumping out of a Beetle when it stopped at a stoplight, running around the car and piling back in before the light changed. This was a bit of a challenge with the two-door car. 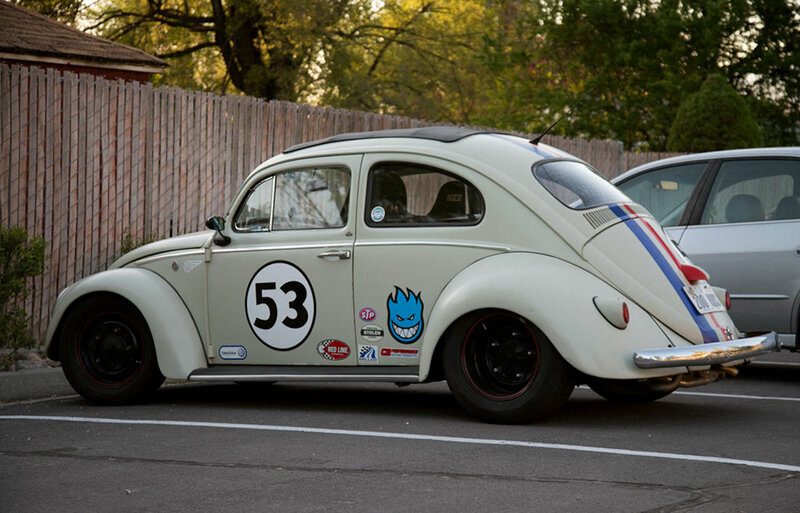 Families camped out in Volkswagen Buses, college students left skid marks in their family driveways as they left home in Beetles, and a famous little Beetle race car became the subject of the popular Herbie movies by Disney. People put black dots all over red Beetles and antennas over their headlights to turn them into ladybugs. Giant windup keys were mounted on Beetle roofs. A clone of Herbie parked in Provo, Utah. Volkswagen Buses, first produced in 1950, were decorated with bright psychedelic colors and anti-establishment slogans popular in the 1960s and 1970s. The Bus was available in a large variety of official and homemade adaptations. They were used as ambulances, food trucks, police vehicles, fire engines, ice cream trucks, and hearses. A variety of modifications were made by owners to accommodate family camping. A string of Buses in the Utah mountains. The tongue-in-cheek “luxury” car of the Beetle crowd was the Volkswagen convertible, produced from 1949 onward and more elegantly outfitted than the sedan. The car was upgraded many times to improve its performance and safety. A convertible and a regular Beetle. Introduced in an era when other cars were sold as luxury goods, the ads made it okay to save money and own a small car. Their insight into what average consumers really wanted changed the nature of marketing to focus not on the product’s features but on human needs. They were the precursor of later wildly successful ad campaigns for minimalist products such as Apple, which emphasized not the features of Apple computers and phones but their impact on their owners’ lives. Most owners of the Beetle were unaware that it originally was the brain child of Adolph Hitler’s Nazi regime. Hitler decided that ordinary Germans needed a cheap, simple car that could be mass-produced and had affordable, readily available and easily swappable parts. The original Beetle was designed to transport two adults and three children and get up to 62 miles per hour at 32 miles per gallon. In the tradition of authoritarian regimes, the Nazis called it the People’s Car (like People’s Army, People’s Party, etc. ) which in German is Volkswagen. The Nazis didn’t get much chance to produce the vehicle, though. After 210 cars had been built, production was stopped during World War II. After the war, the British took over control of the Volkswagen factory, but were unenthusiastic about the car which they thought wouldn’t catch on. However, a British Army officer who was in charge of the Volkswagen factory removed an unexploded American bomb from it and then talked the British into ordering 20,000 cars to jumpstart employment in the factory’s area. A million Beetles had been produced by the end of ten years. The car eventually became the longest- and most-manufactured car ever, surpassing the Ford Model T. It was exported to a variety of countries, where it became known in various languages as the Beetle, the Bug and the Lady Bug. In the early 1970s, the Beetle faced stiff competition from other economy cars and sales plummeted. The Volkswagen Golf succeeded the Beetle in 1974, although smaller numbers of Beetles were produced in various markets until 2003. More than 21 million Beetles were produced all together. A retro car with styling similar to the Beetle was launched in 1994. After a Volkswagen executive suggested to reporters in Europe recently that the Volkswagen Beetle might be replaced altogether within a few years, a Volkswagen spokeswoman Jeannine Ginivan assured nervous enthusiasts that there are no plans to discontinue the car in the U.S. market. However, sales of the Beetle were down 3.2 percent in 2017. Collectors of classic Beetles and Buses have organized clubs that get together for road trips, races, car shows and to swap Beetle memorabilia. 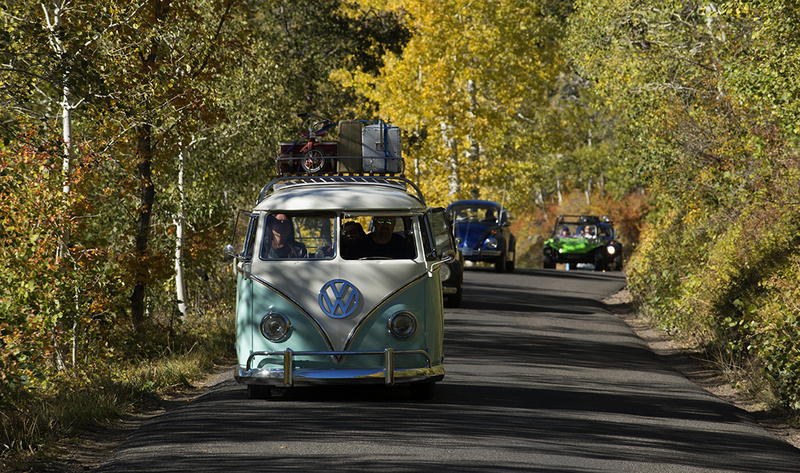 Volkswagen enthusiasts on a road trip on the Alpine Loop in Utah. 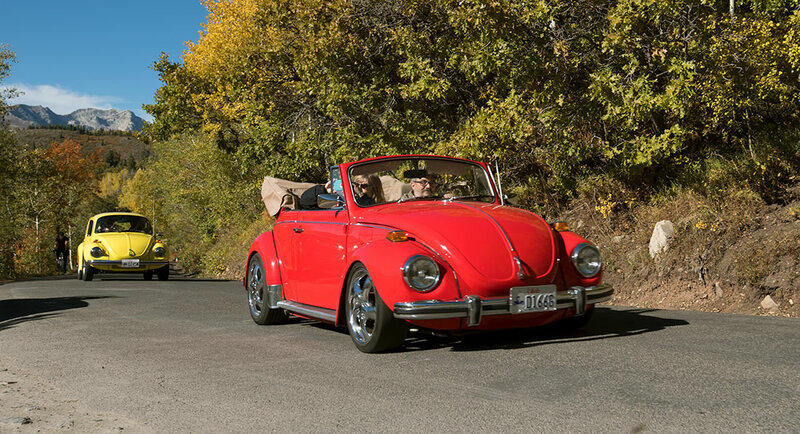 Classic Beetles and VW buses are increasing in value year over year, with a model’s rarity, design, performance and history determining the pricing. A typical collector-quality Beetle sells for about $15,000, with rare ones selling in the $70,000 range. Rare versions of buses sell for six figures. The average price is about $50,000. Writer and designer Donna Rouviere Anderson writes about affordable, simple design.